Hand Gelatin Mold By: Fun World for the 2015 Costume season. Need an extra hand? It's time to put all hands on deck for your party. It's time to pull out all the stops! 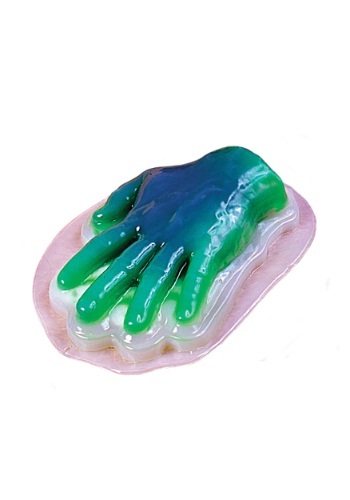 Instead of just making boring jello cubes, why not make a spooky jello hand? Use this Hand Gelatin Mold to help!